As the holidays approach, I'm getting more behind on my post and spending more time with the family. So for the next couple of days you will probably see some late editions. 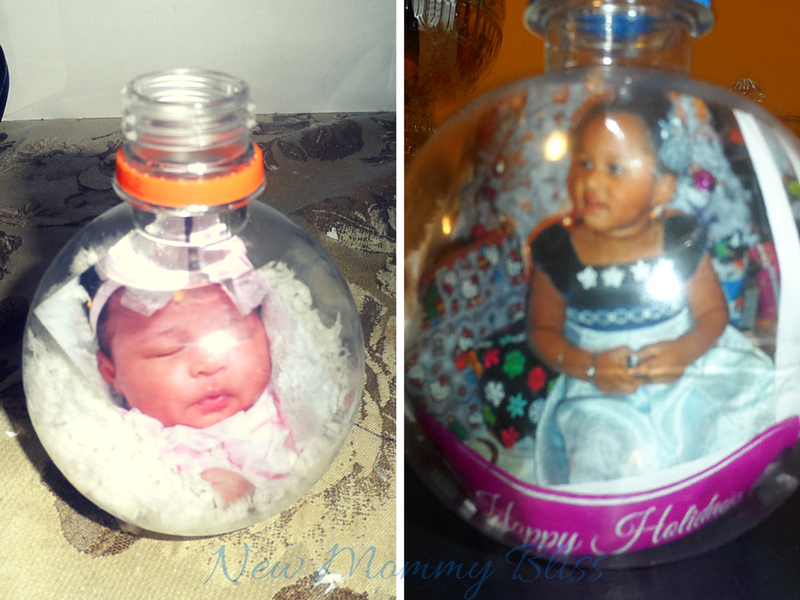 I'm gonna show you how to make some quick keepsake ornaments using the AquaBall bottles from our review post (Here). 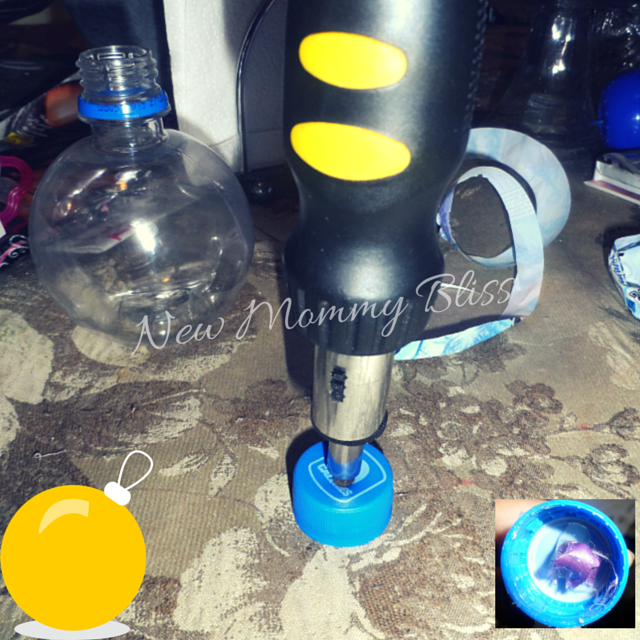 1) Once you've emptied out your bottles, let them dry on its own or using a dry paper towel. Remove the Bottle's label. *You can leave the label on if your kids want a character ornament. 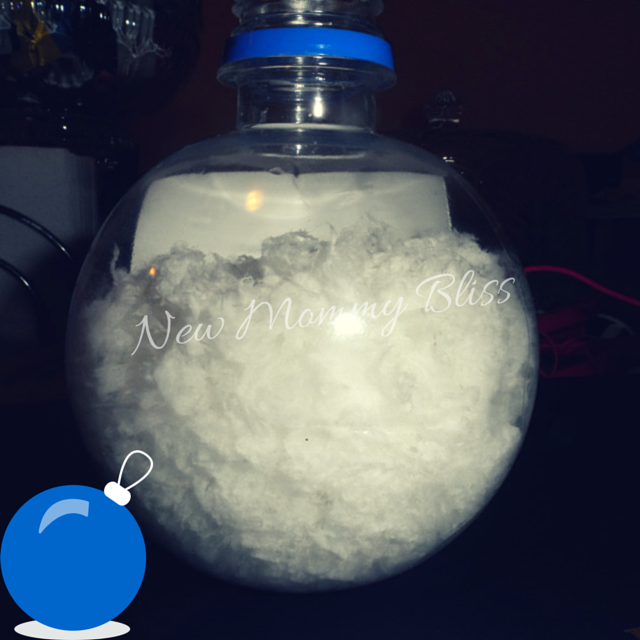 2) Add as much fake snow as You'd like and shake it up. 3) For my newborn keepsake, I used one of Gab's first professional photos (smallest wallet size works best). I rolled it just a little to fit through the bottle's opening. For her 2014 keepsake, I cut her 4x6 Christmas Photo into a small square and repeated the rolling process. * It took me about 7 tries to get the picture just how I wanted. 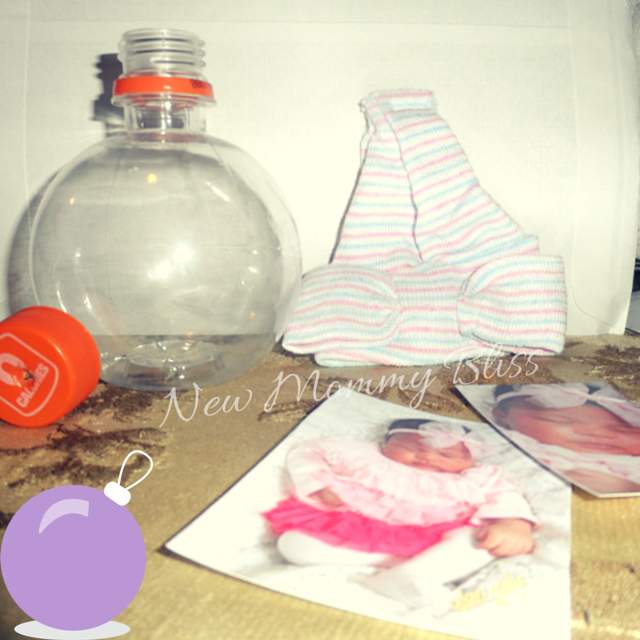 4) After getting my photos just how I wanted in the bottle, I moved on the making a hole in the cap. I placed the cap on a flat surface and with the screw driver I punctured a whole into it. Grab your piece of ribbon, pull the ends through the whole, make a knot, then Glue it on the inside of the cap. 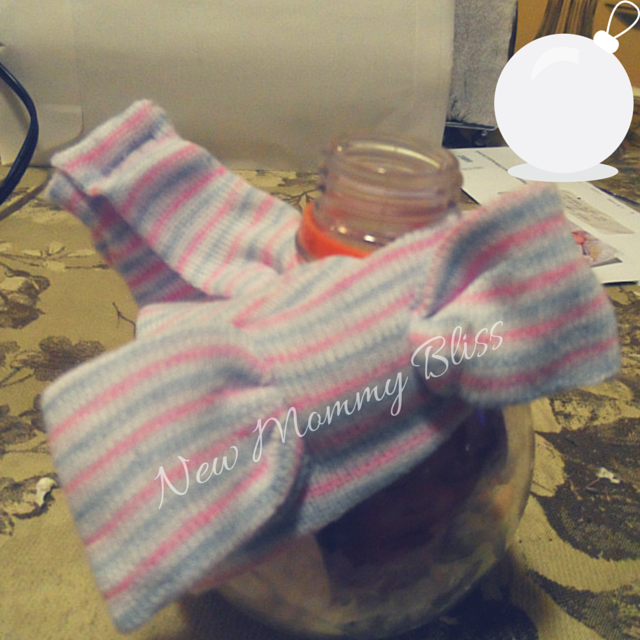 5) Newborn Keepsake: I grabbed Gabby's newborn hat and made a tiny slit above the brim. I place the bottle's opening through the slit and positioned the hat as if the ornament was wearing it. I glued it on to place. 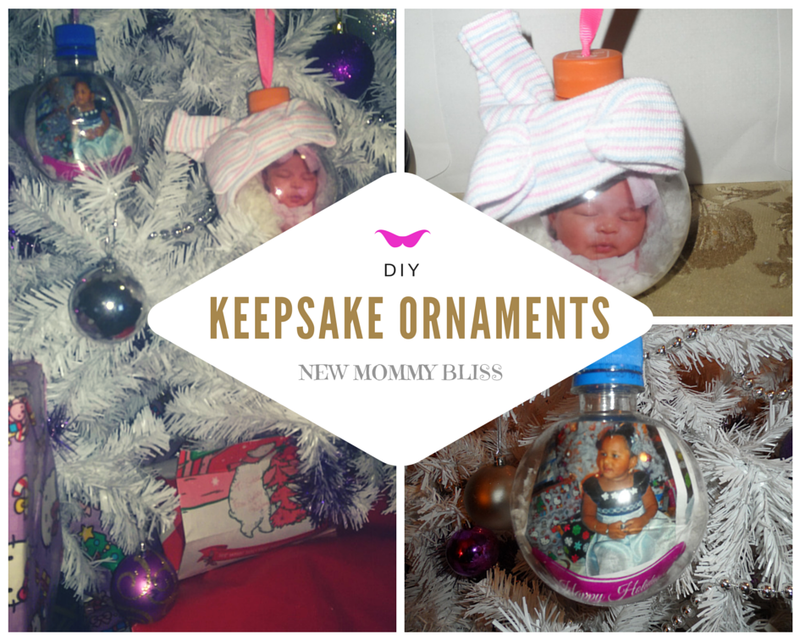 6) Both Keepsakes: Now you can glue on the cap or just screw it back on. You're all finished! These make for great gifts to family and loved ones! This will be our new family tradition. I love giving personalized gifts and this is one everyone would love seeing on our tree .To give as a gift each year as the kids grow up everyone would love it .thanks for the wonderful idea.